It is a bit if a vague answer that we start to give out in January. 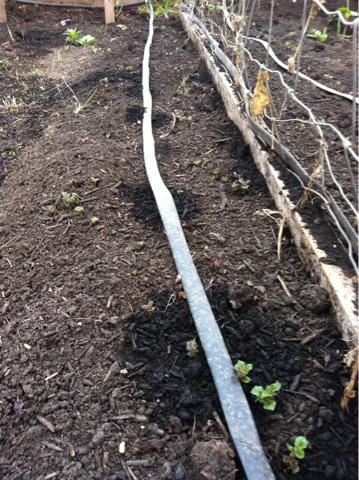 To the question as to when our vegetable distribution commences. 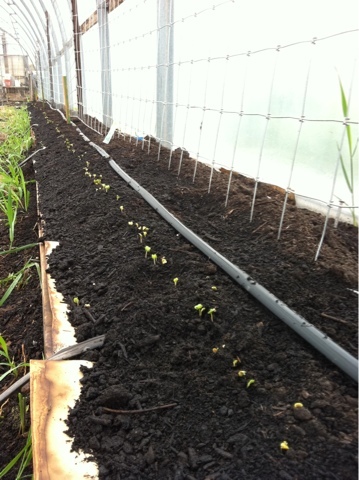 We plant inside the hoophouse in the fall, and outside under row covers, so we can have things to eat all winter. 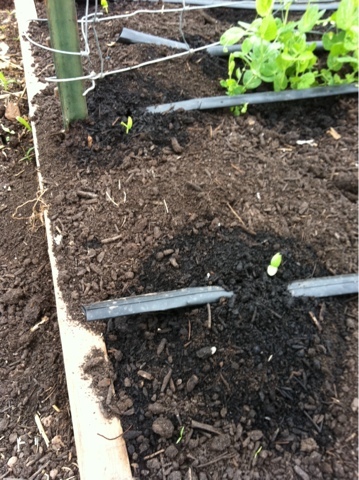 In January, February, March and April we set seeds in place to have vegetables to distribute. 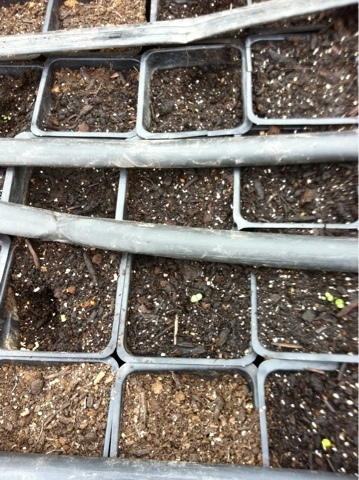 And now there are plenty of things going in that will take us through the heat of the summer, just now getting started. 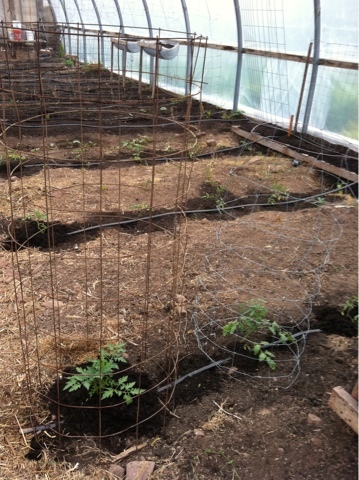 Tomatoes, potatoes, cucumbers, radishes, basil. 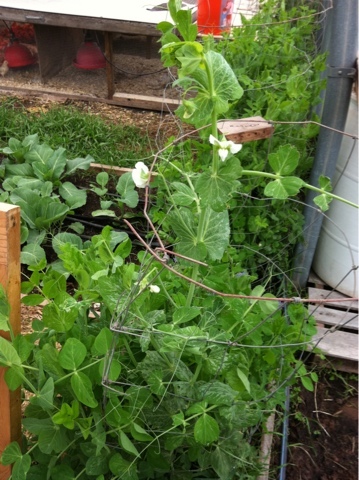 And starting to flower, 3 kinds of peas. It is 10 days until mid-May and we are getting to the point where we must set a date..an exact start date..the picking and washing station is set..come on peas..